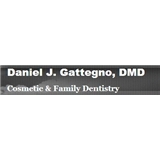 Daniel J. Gattegno, DMD (Bayside) - Book Appointment Online! Memeber of the American Dental Association New York City Dental Society Queens County Dental Society Certified from the World Clinical Laser Institute for Laser Dentistry. It was great and very quick.